yet, at the same time, now saw that there could still be many—many drops of goodness, is how it came to him—many drops of happy—of good fellowship—ahead, and those drops of fellowship were not—had never been—his to withhold. Elizabeth Day, a journalist with The Guardian, has been reading short stories aloud for a month at the Simon Oldfield gallery. I wasn’t at all surprised to learn of her surprise at how moving and connecting her listeners find the experience. After more than ten years of shared reading with The Reader Organisation, and an even longer 20-year backlog of reading aloud while teaching at the University of Liverpool, I know that something remarkable happens when we share our reading. Witness the story above, which concerns a man fighting for his recovery at the Drug and Alcohol centre where I run a Get into Reading group on Friday mornings. What might reading George Saunders’ terrific and terrifically moving story do for a person struggling with the conflicting tensions of a self-destructive addiction and the desire for life? I do not know, but I know that something very powerful happened when that man read those words back to us all. In Elizabeth Day’s group – so far as I can tell from the picture – the reader is separated from the listeners: she sits on a chair while they sit on they carpet. She does not say whether she is the only reader, but I would imagine she is… Elizabeth is reading to her group, and interestingly, she calls it ‘storytelling’, which to me suggests a strong performative element. I would imagine she reads the story all the way through, and the listeners simply listen. All well and good, and I’m glad it is happening, because one of our aims, in The Reader Organisation, is to build a reading revolution which will put books at the heart of life. Arts Galleries and addiction centres, refugee centres and retirement homes, classrooms and boardrooms. Imagine poetry being read in the Cabinet! what poems would you take along, if you were their reading group conductor? 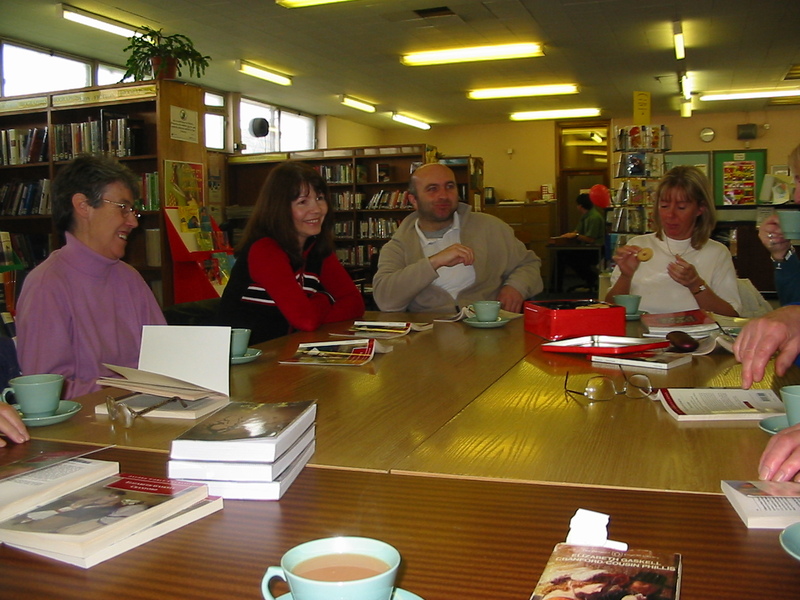 Since I set up The Reader Organisation – more than ten years ago – we have been delivering ‘Get Into Reading’ – weekly read aloud shared reading groups in a wide variety of locations. We try to sit together, as if we were all part of the same group, usually round a table, mostly in some sort of rough circle. That said, on one memorable occasion, I read with about 60 people in Brompton Library, the group in a layered semi-circle, myself at what might have been in a musical setting, the podium. We read a marvelous short story by Eudora Welty called The Worn Path. Though it is hard for 60 people – new to each other – to form a bonded group, I think that something remarkable like that did happen that day. But that was an unusually large shared reading group. As a rule of thumb our groups run with between 2 and 20 people and the ideal number is about 8. There is a lead reader, or facilitator, or conductor, who takes responsibility both for the reading material and for conducting, holding together, the group. That person will probably do most of the reading. But this is shared reading on a number of levels. We invite group members to join in, to take a turn at reading. No one has to read, and you don’t have to be a ‘good reader’ to take a turn. Oddly, the power of a tentative human voice, uncertain about it’s ability to read what is written, can often make the experience of sharing more, not less, powerful. 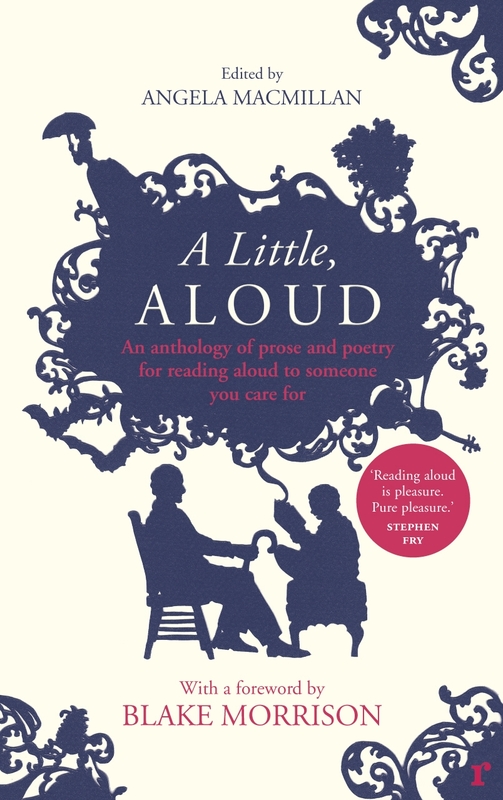 I think reading aloud grows from the storytelling tradition but it is different, because reading aloud gives you language in its most complex and sophisticated form. And because literature is complex, we at The Reader Organisation not only read, but also stop, often, to talk. The group bond partly builds through the sharing of reflections in some of the complex moments, as in the example above. It is the double presence of the person in the words, the words in the person that is powerful.